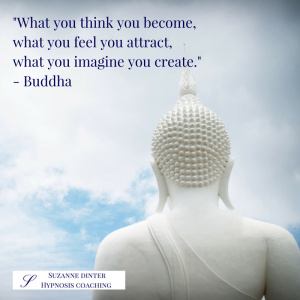 “What you think you become, what you feel you attract, what you imagine you create.” – Buddha. Wise old words, there, and worth considering in more detail, methinks. Well, if you catch yourself thinking negative thoughts, why not turn them around into positive ones instead? For example, if you forgot to buy milk yesterday and now you haven’t got any for your morning tea. Buddha certainly didn’t imply that you’ll turn into an imbecile in a flash of light! You’re not going to get amnesia the day after tomorrow! He meant that concentrating on the negative will pull more negative things to you. The same as concentrating on the positive will bring more positive things in your life – it works both ways! So, why not change it around and be nice to yourself? If you feel poor, you’ll attract lack. Concentrating on feelings of poverty, dwelling on your debt, worrying about all the things you don’t have will attract more of the same. I mean, most of us in the Western world are rich in so many ways, even if our bank balance is not where we’d like it to be. We have enough, and that is something to be grateful for. Concentrating on feeling rich will bring you more abundance. Feeling rich will help you find more ways to earn and receive money. Feeling abundant will lead you to more opportunities for success and fulfilment. If you feel lonely, you won’t attract any friends. Luckily, very few of us are completely and utterly alone without a soul in the world to talk to. You might not have a bestie around the corner. Or you might have fewer friends in this town than you did where you grew up. But you have a colleague who you regularly bump into at the coffee machine in the break. You have the smiley mum who drops off her kids at the same time as you. You have the neighbour who greets you when you cross paths outside your homes. If you feel surrounded by friends, you’ll attract more buddies. (Be they still strangers). Why not start a little small talk at the coffee machine with your colleague? Why not smile back at the other mum and exchange a quip about running late again, haha? Why not greet the neighbour back and ask them if they know where the local XYZ is? You never know where or when you’re going to meet your next new friend. If you imagine you’re becoming a lonely old cat woman with no one to love and no money in the bank, then you’ll slowly create this life for yourself. If you imagine never finding the man/woman of your dreams, you’ll subconsciously do everything to prevent meeting him/her. If you imagine you’ll never get out of this rut, your creative mind will not present escape routes to you. Alternatively, imagine what you DO want and your mind will create it. Visualise it. Concentrate on it. Use affirmations. Set reminders on your phone. I promise you’ll get what you imagine! Can you see what Buddha means now with his wise old words? If you would like help finding ways forwards with a certain issue. If you want assistance in changing your thinking. If you need support in altering your feelings to positive ones. If you’d love to know how to get what you want, I’m here to guide you all the way. Imagine getting what you want. Imagine doing what you love with the one you love. Imagine feeling positive, confident and free. This is all possible to achieve with hypnosis. Please book a free initial consultation call here. You can tell me what you want to achieve, change, or shift in your life. Let me know how you truly want to be. 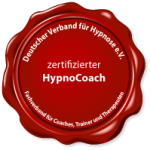 You are welcome to ask me any questions about hypnosis and how a session with me works. Thank you for reading and I look forward to serving you again soon.